This 12 ounce juice bottle is great for single servings of your favorite fresh juice. 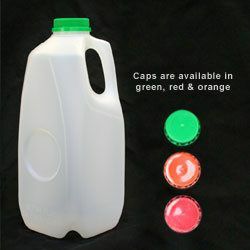 Caps are available is green, red and orange. This 16 ounce juice bottle is great for larger single servings of your favorite fresh juice. 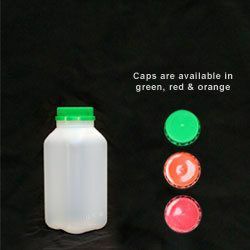 Caps are available is green, red and orange. This 32 ounce juice bottle is great for taking your favorite fresh juice to go. 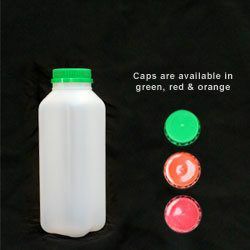 Caps are available is green, red and orange. This 64 ounce juice bottle is perfect for family sized servings of your favorite fresh juice. 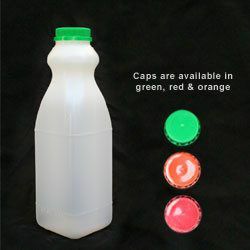 Caps are available is green, red and orange.